Fortnite Is Super Popular with Kids, but Is the Game OK for Them? Is the Fortnite age rating appropriate? Here's what the experts have to say. The most popular game in the world, Fortnite, has a T rating in the U.S., which means that it contains content that’s been deemed appropriate for players at least 13 years old by the Entertainment Software Ratings Board (ESRB). That hasn’t stopped young kids from developing Fortnite fever, and playing right along with teens and adults. Fortnite: Battle Royale is a combination of a shooter and a building game. Its colorful, cartoon graphics look family-friendly, but the whole premise is to defeat other players before you can be knocked out first. With a gameplay setup based on violence, the Fortnite age rating seems appropriate, but does the game’s cartoon style and lack of realism make it ok for younger players as well? Let’s see what the experts have to say. This is an action game in which players build forts, gather resources, craft weapons, and battle hordes of monsters in frenetic combat. From a third-person perspective, players use guns, swords, and grenades to fight skeleton-like monsters (husks) in ranged and melee-style combat. Players can also defeat enemies by using various traps (e.g., electric, spikes, poisonous gas). Battles are highlighted by frequent gunfire, explosions, and cries of pain. Keep in mind, the ESRB doesn’t rate online interactions. Fortnite: Battle Royale is a game played online with up to 100 players in each match, meaning players may encounter bad apples and foul language. This game was rated PEGI 12 for frequent scenes of mild violence. It is not suitable for persons under 12 years of age. The game has a cartoonish style, and the violence, while persistent, isn't bloody or particularly gory, even though you're using melee weapons and firearms to eliminate opponents. The game does push players to make additional in-game purchases to acquire many cosmetic items, objects, and celebratory animations, though they're not required to play. While there isn't any profanity in the game dialogue, its online nature could expose younger players to iffy language from random strangers in voice or on-screen text chat. Ultimately, whether or not Fortnite is ok for your kids to play comes down to what you’re comfortable with your kids experiencing. Some kids may be mature enough to handle violent games (even 18+ games) before they reach the recommended age, but that’s something each parent needs to decide on a per-child basis. Take a look at our guide if you want more information about how to keep your kids safe online. 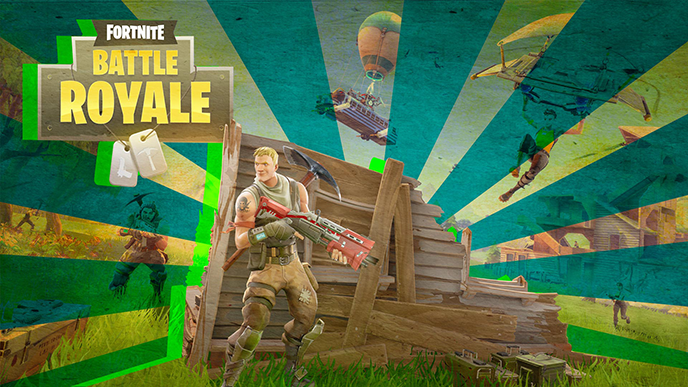 For more information about Fortnite, check out our guide.